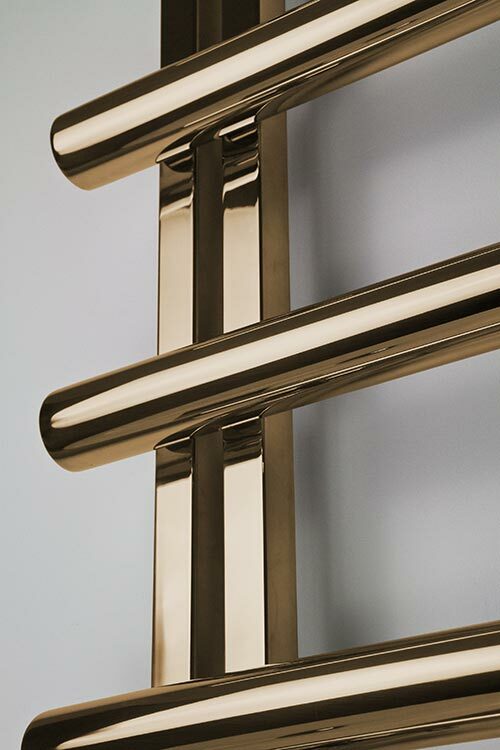 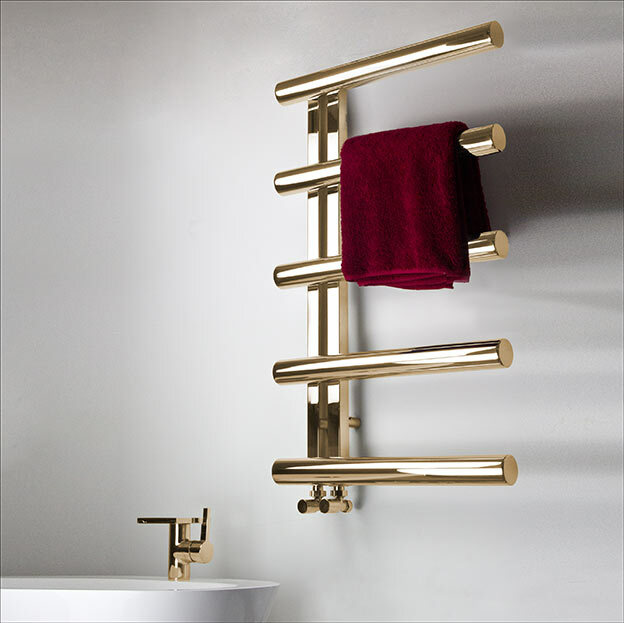 This contemporary gold heated towel rail has is made from high quality stainless steel with a hard wearing gold finish. 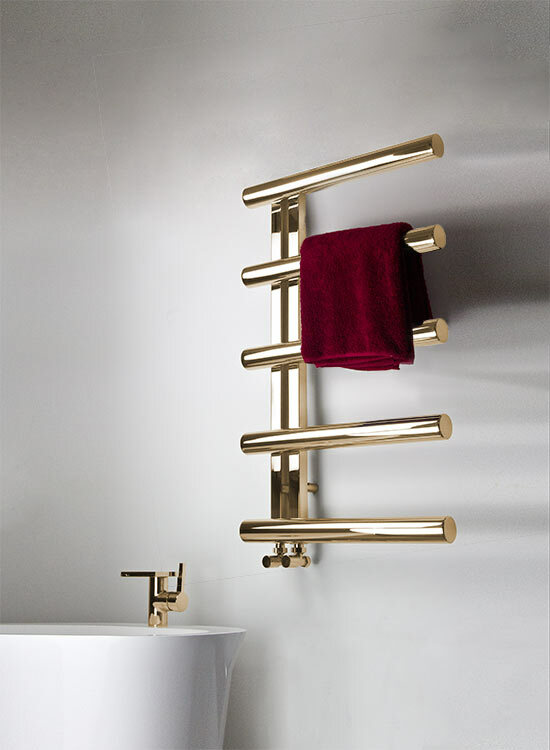 A luxurious modern towel rail with chunky open-ended bars for easy access to towels. 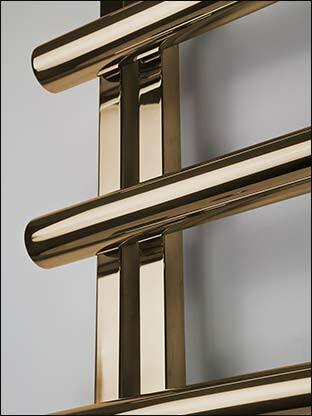 Finished in gold to special order. 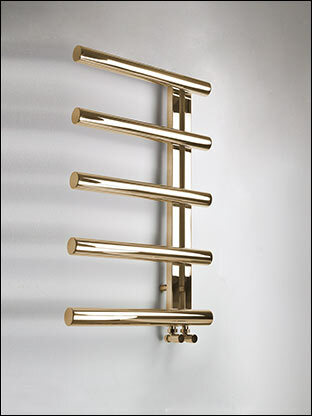 • Can be fitted left or right handed. 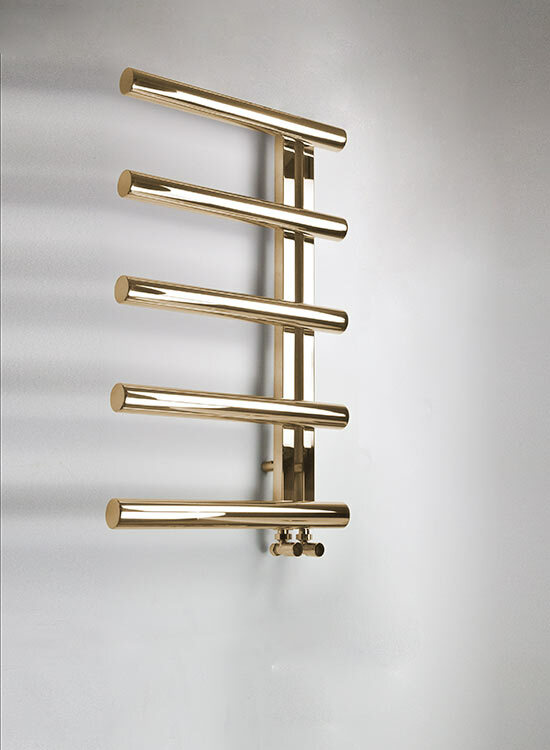 • Central heated, electric or dual fuel.